ZIMBABWE – Government has mobilised $260 million to import grain as part of its efforts to avert hunger, as a serious drought caused by El Nino weather pattern engulfs Southern Africa, a senior official has said. Agriculture, Mechanisation and Irrigation Development Minister, Dr Joseph Made yesterday said Government would import between 500 000 and 700 000 tonnes of maize to ensure the strategic grain reserve is maintained at the level they are supposed to be. “In the meantime we are moving grain to deficit areas and the number of vulnerable people is increasing. The most affected areas are Matabeleland South, parts of Midlands, Masvingo and southern parts of Manicaland. “We have also allowed millers to import grain. Millers have been given permits to import 1,2 million tonnes of maize in the past 12 months but they have only imported 450 000 tonnes. No individual company has been stopped from applying for a permit to import maize but the permits are approved and there are certain things we consider before approving the applications,” he said. 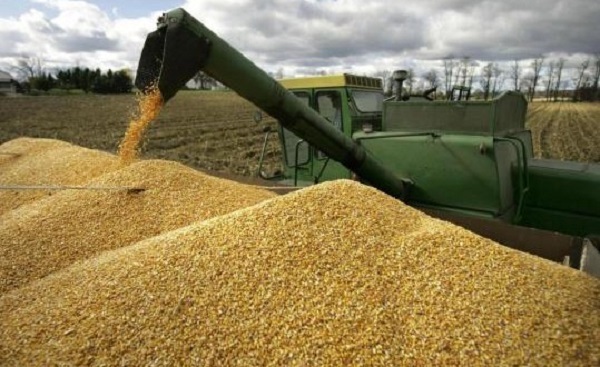 Dr Made said the Grain Millers Association of Zimbabwe (GMAZ) has other interests as it alleged that it had been denied permits to import grain. “The GMAZ must be going all over the place for other vested interests rather than the facts on the ground. “Individual companies should follow the proper procedures when importing grain,” he said. Dr Made, who is also acting Minister of Environment, Water and Climate said the 2015-16 rainfall season was a difficult one as the country was in a serious drought. He said even if the country was to receive rains now, they would only go a long way in filling reservoirs but would not contribute much to crop growth and development as crops in most areas were a write off due to the current drought. “So far we have received less than 75 percent of the usual rainfall and currently we are in the middle of the mid season drought. “Even if the rains were to come, it will not benefit the crop to the level that we will be secure 100 percent on our own. “It is Government’s responsibility to be the main supplier of food and that will put Government in the position to import grain,” he said. The 2015-16 has come after another drought year, further worsening the food situation. According to the Meteorological Services Department, rainfall distribution is critical in determining available moisture for crop development at the different growth stages. It becomes important since the rainfall season in most areas of the country will be below normal and the season is expected to be shorter than normal; thereby already limiting the growing season. So far the rainfall distribution has generally been poor resulting in most areas not receiving adequate moisture for planting or to sustain early crop development. The Food and Agricultural Organisation (FAO) recently announced that crop and livestock production prospects in Southern Africa had been weakened by the El Nino weather phenomenon that lowered rains and increased temperatures. A special alert released by FAO’s Global Information and Early Warning System (GIEWS) recently indicated that reduced agricultural output would follow on last year’s disappointing season, which had already contributed to higher food prices and could acutely impact the food security situation in 2016.